The Paddy Power app is one of the top rated amongst bettors. If you're an existing Paddy Power member, you'll find the same user experience and great bonuses across any of their chosen apps. There are no less than 11 apps for iOS devices and a bunch for Android phones, so you can really chose your app based on your desired game. Here's your ultimate guide to the iOS and Paddy Power Android apps. Despite Google making it difficult for Android users to download apps of their store installation of the Paddy Power phone apps is very simple, and can be done in 4 quick steps. Click on the button above to select your preferred Paddy Power app. Click on ‘Download Now' for iPhone or iPad. You'll be taken to the App Store. Sign into your iTunes account and install your chosen app. All Paddy Power apps are free to download. Despite Google making it difficult for Android users to download apps of their store installation of the Paddy Power apps is very simple, and can be done in 4 quick steps. Access the Paddy Power app download centre on your Android browser. Then you will be confronted a security question. Simply go to settings, then security and turn ON unknown sources, then tap on the relevant Paddy Power app. You can take advantage of the a Paddy Power promo code when you download any of the apps. OK, so let's dive in to the good stuff. 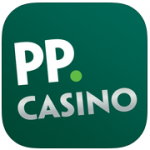 There are a colossal 11 apps available for iOS users, and 7 Paddy Power Android apps. Here's a play-by-play of the best of the bunch. The main Paddy Power app for the Paddy in your Pocket for betting on sports and horse racing. Users can access all the usual features on their phone using the same login details as the main site to see the full range of markets to bet on, as well as live betting and popular accumulators. You can also take advantage of the same good deals when you play from your phone as when you play on your desktop. Fancy a bit of bingo on the go? 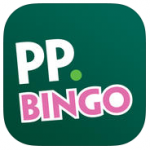 With the bingo app players can choose from over 30 bingo games and enjoy a welcome bonus. If you're the sort of person who owns a tablet, phone and desktop you can even start a round of bingo on one, and finish it on another device. Neat, huh? Get the thrill of Sin City on your phone with this Paddy Power app. You can enjoy 20 classic Casino games including: Roulette, Blackjack, Slots, Frankie Dettori’s Magic Seven, Jackpot Slots, Marvel casino games. We particularly rate the high-quality animation of this one! This app is not available for Android phones. The Paddy Power Live Casino app is the closest you can currently get to playing Vegas games on your device. Users can play Casino classics like Roulette and Baccarat but live, streamed directly to your phone. The idea is that with a high-quality video stream, you can play your favourite Casino games as if you were really in Vegas, complete with an easy-on-the-eye dealer and chat interaction. 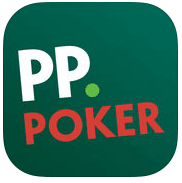 Real card sharks should download the Paddy Power app for Poker. This one is compatible with both iOS and Android devices. Choose from Hold’Em to speed games and tournaments for the chance of winning the jackpot every day. The Paddy Power apps seems to lack nothing, as all the sports and markets available on the website can be accessed through the app as well as live betting. In terms of compatibility there are more Paddy Power Android apps than operators usually bring out, so this makes them really strong for us. You can use the iOS Paddy Power apps for Sports and Games on iPads too, as well as Java-enabled phones. If you'd prefer to play with the simplicity of a desktop app, the bookie has five. f you already have an account, simply go to their mobile page where you can enter your phone number to receive a text giving setup instructions.